Women's Thursday Night Study beginning January 25, 2018 at 7 pm. Beth Moore - "HERE AND NOW...THERE AND THEN." Women's Ministry @ PCC is "Fellowship With Christ and Each Other"
The Women’s Ministries of Plantation Community Church offer numerous opportunities for Bible study, prayer and fellowship. There's a place for you here! For more information contact Women's Ministry Coordinator Rosi Fowler at wm@pccflorida.org. Ladies Discussion Class led by Janet Weins. Searching for Allah: Finding Jesus. This book is the story of a young man converting from Islam to Christianity. Each lady is responsible to get her own book. The book is available on Amazon. If you have any questions, contact Janet at Janet@Weins.org. Dorcas Disciples is a lovely group of women who meet on Tuesday mornings in the Library from 10:30 am to noon. They knit and crochet projects to present as gifts to new babies, those in the hospital, missionaries, etc. All are welcome to join them. And if you want to learn to knit or crochet, they will show you. For more information, please contact Lena Dietrich 954-584-8777. 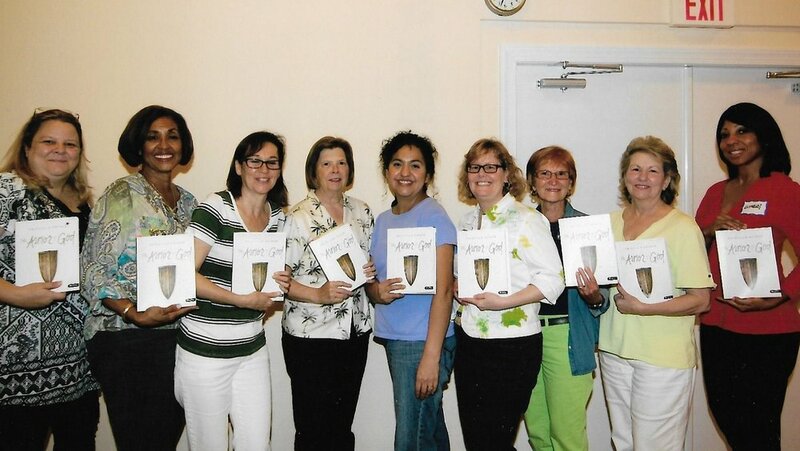 Ten Women of the Bible, by Max Lucado. Starting October 7 from noon to 2:00 pm. Meets in the Board Room. This group is led by Janet Weins. If you have any questions you can email Janet at Janet@Weins.org. Please check out our Women’s Ministry table in the church lobby. For more information, please complete the below form fields and someone will contact you!